On our first day in Japan we had a personal tour guide, Ayano, to show us around and help us acclimate ourselves to the city. As I mentioned in part 1, we spent the morning exploring the restaurant row near our hotel, then strolling the beautiful grounds of the Imperial Gardens. From there we walked to Tokyo Station, which we learned had recently been given a facelift. We found the surrounding area, as well as the station itself, to be immaculately clean and modern. I cannot stress enough how antiquated the New York City subway system is in comparison. Everything from the IC cards (Japan’s version of the MetroCard) to the trains themselves were fast, efficient, and easy to use. Our guide showed us how to navigate the trains, which was much easier than I was expecting, and even helped us reserve train tickets for our upcoming trip to Kyoto. Similar to New York’s Grand Central Station, Tokyo Station is filled with bustling shops and restaurants—including a Starbucks! Beneath the main level of the station, we were dazzled by “character row,” a line of shops each dedicated to a popular Japanese character or mascot. 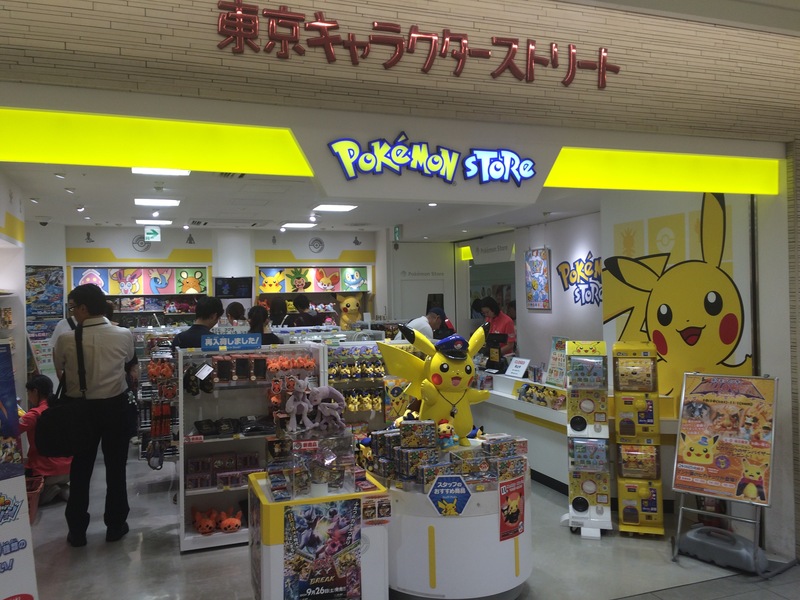 We visited the shops for Hello Kitty, Pokemon, Tamagotchi, Nanana, Sailor Moon, and tons of other popular Manga/Anime characters. 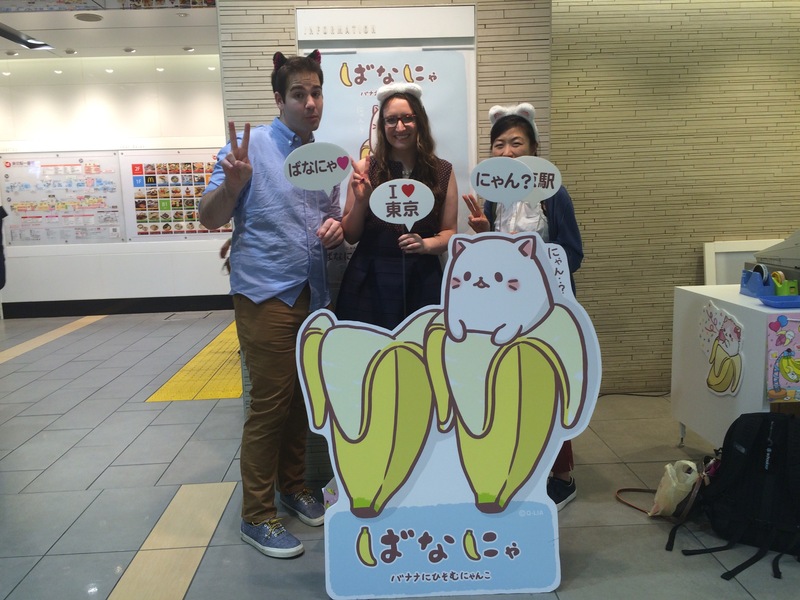 There was even a shop dedicated to Snoopy from the American classic “Peanuts.” All of the characters were adorable, but it was the loveable Bananya (a play on the Japanese words for “banana” and “cat”) that won a place in my heart—and my suitcase home. We sat down and were soon served the most delicious ramen. Mine was filled with vegetables and noodles made of veggies, Adam’s had pork and regular ramen noodles. Since the Japanese tend to show appreciation for their meals by loudly slurping their food, the restaurant offerred plastic bibs. 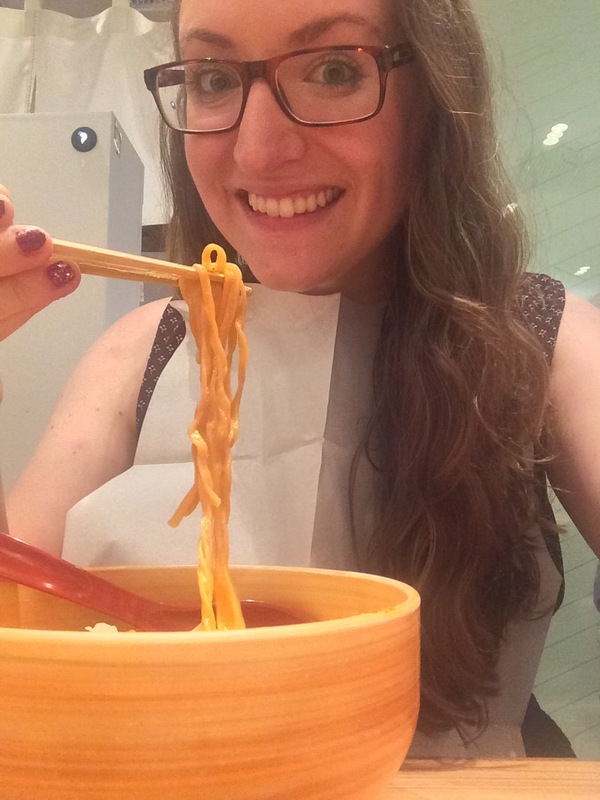 Even though I ate my meal quietly, I still I wore the bib because my chopsticks skills are a work in progress. And I’m glad I did—a few noodles didn’t make it all the way to my mouth! 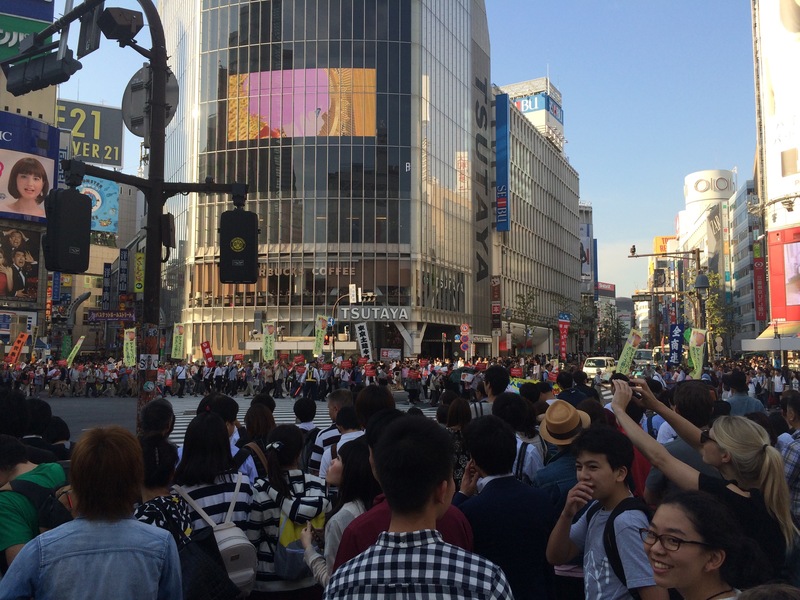 After lunch we took the train to Shibuya Station and crossed the insanely busy Shibuya intersection. It’s a famous spot because all the crosslights turn red at the same time, causing a mass of pedestrians to pour into the street. It’s just as amazing to watch from above as it is to be part of the crowd. The area is often compared to Times Square in New York, but Times Square is much larger and more commercialized. Just before we crossed the intersection, we saw the Hachikō dog statue which commemorates the Akita dog that faithfully met his person at the train station each day after work. Even after his owner died, Hachikō continued his daily trek and waited in the same spot each day for 9 years. 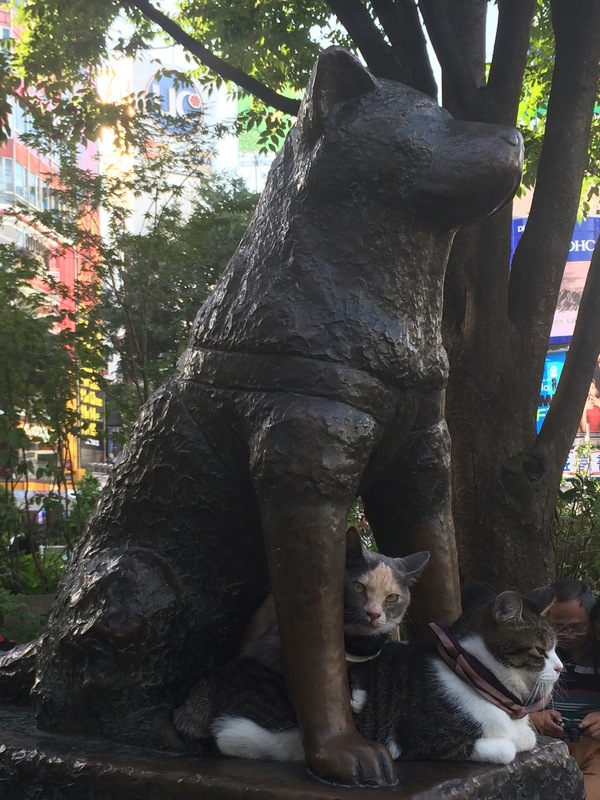 When we got up to the statue, we noticed that someone had placed their two pet cats below Hachikō. 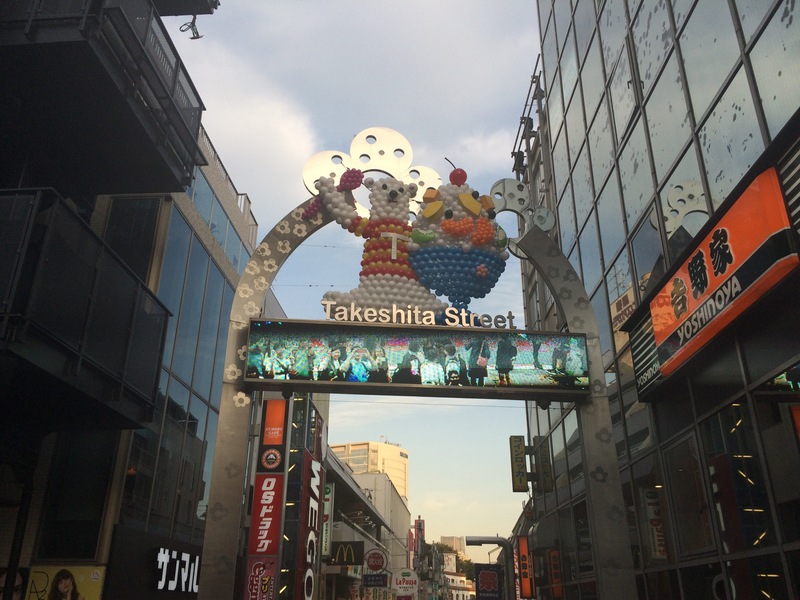 Next, Ayano took us to Takeshita Street—an adorable shopping strip that’s known for its Harajuku baby doll-style clothing stores and pastry shops. 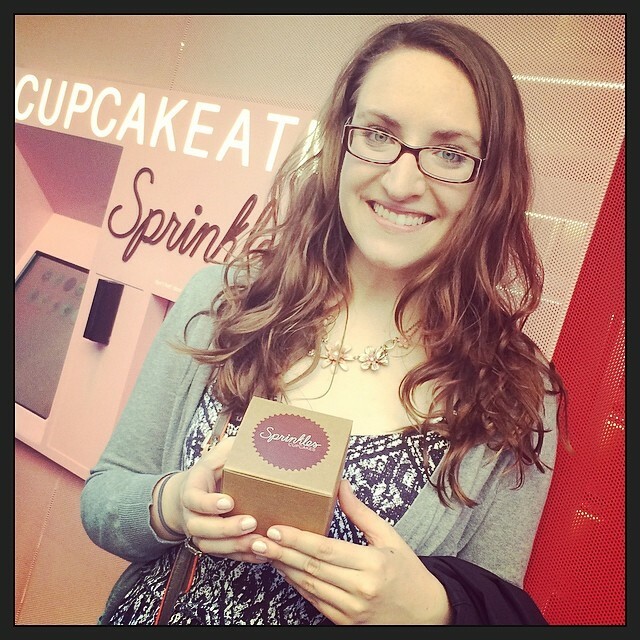 Everything in this area was bubble-gum pink, cute and fuzzy, and/or delicious sweets marketed to teenage girls. We saw lots of girls dressed in Harajuku fashions walking around and enjoying doughnuts and crepes. This street is also home to the first crepe shop in Tokyo, which has since grown in popularity and spread throughout Japan. 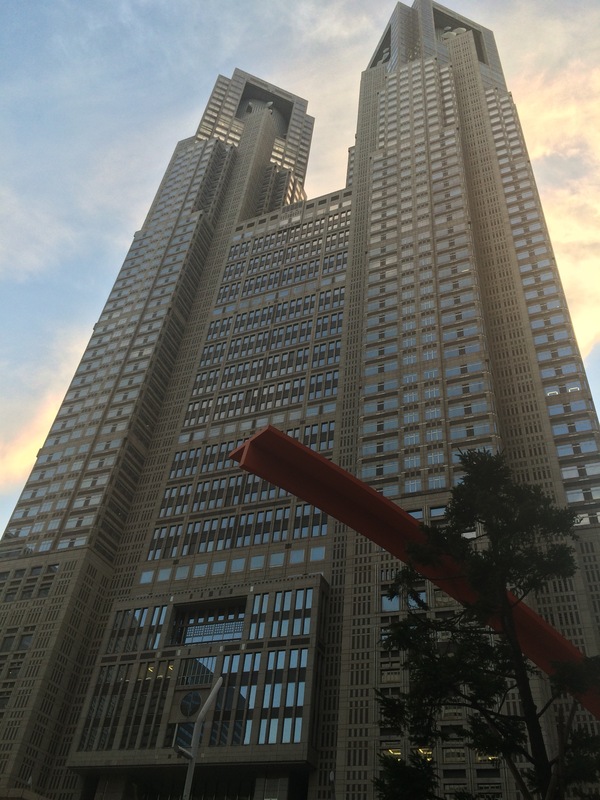 Before we said goodbye to Ayano, she walked us to the Tokyo Metropolitan Government Building. 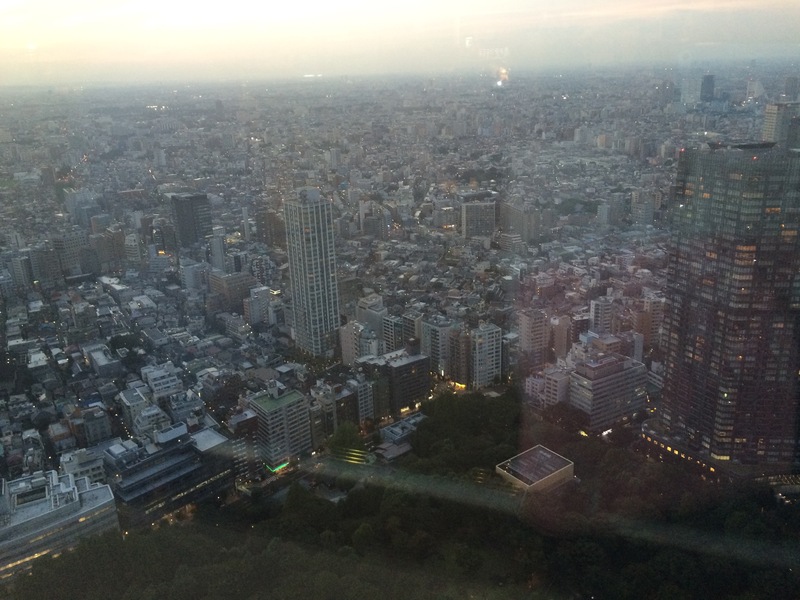 She explained that this is the tallest building in Shinjuku and has an excellent view from the top. Once Adam and I were securely in line for the elevator, we exchanged gifts with Ayano. She gave us two origami peacocks, a handwritten postcard, and special celebration cookies for my birthday. When we got to the front of the line, Adam and I piled into the elevator with a hoard of tourists and took an express ride to the top floor of the skyscraper. The view was amazing! Afterwards, Adam and I wandered around the busy streets of Shinjuku to explore and get a taste of the bustling nightlife. 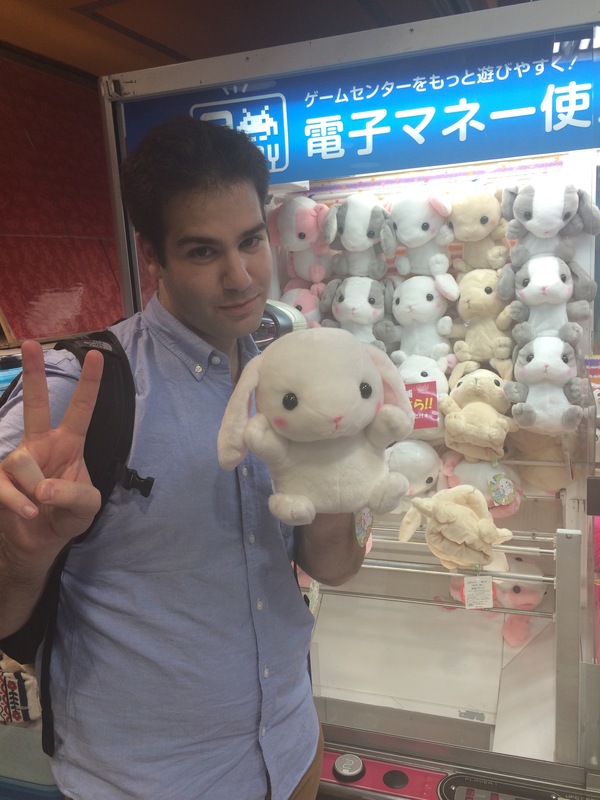 Adam loved the arcades and won me an adorable stuffed animal from a claw machine. 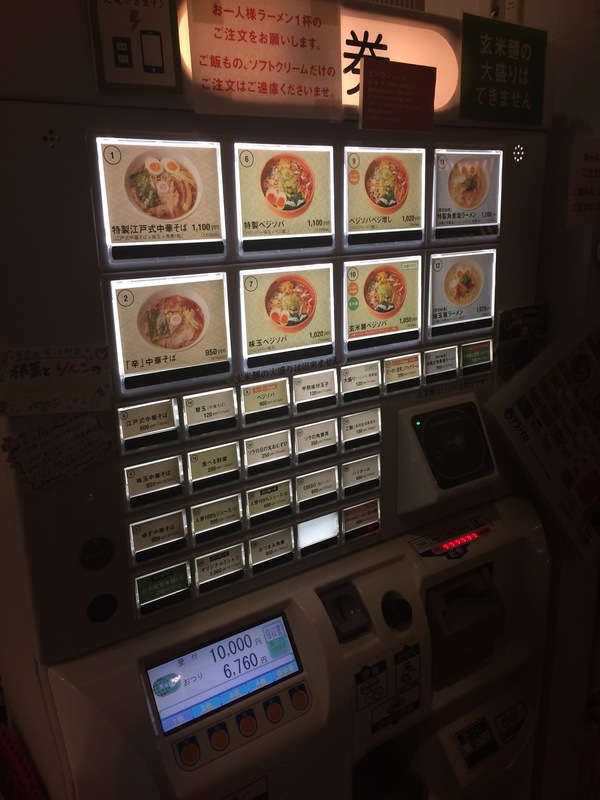 We soon learned that many of the arcades and shops have multiple levels—and the further down you go, the seedier they become. 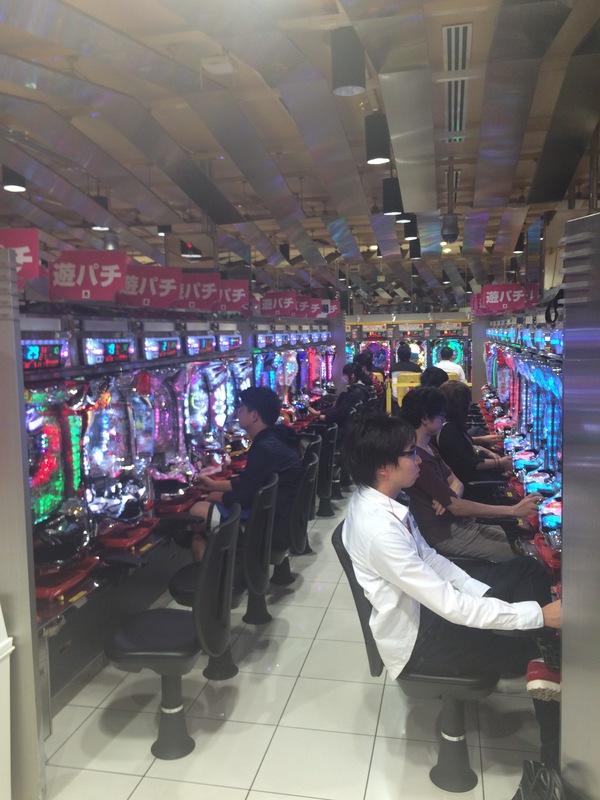 I watched as Adam played Pachinko in one of these sketchy, smoke-filled underground arcades. Neither of us could figure out the game, but it plays loud music and flashes bright lights as silver balls randomly drop through pegs. He doesn’t like to brag about it, but Adam is actually a Tetris expert. I watched as he got the highest score of the day for the Tetris machine he was playing on! We could have stayed all night, but we knew we had to get up early for our trip to Tokyo DisneySea in the morning. Thanks to Ayano’s help earlier in the day, we easily navigated the subway back to our hotel. All in all, it was a wonderful first day in Tokyo.